MENTONE — As fewer students grow up in an agricultural setting, it becomes increasingly important for children to learn at an early age where their food comes from. 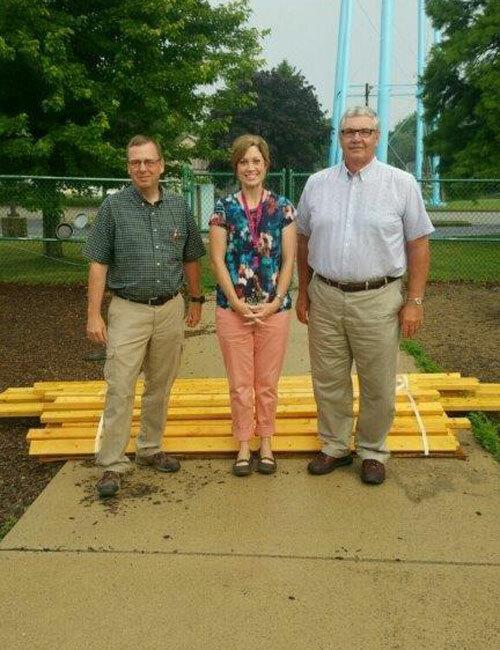 A greenhouse will soon be built on the Mentone Elementary School campus thanks to generous donations by the North Central Co-op and Niff-tone. The greenhouse will serve as a learning ground for growing flowers and greenery as well as fruits and vegetables for snacks. Building a greenhouse at Mentone Elementary School was the idea of Ashley DuBois, teacher of the Mentone Kindergarten Readiness Center.